Florence and Mary: Wonder Woman! 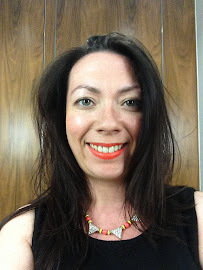 And a friend of mine treated me to another lipstick in Spitfire and the Amazon Princess blush - I think that makes me almost a Wonder Woman don't you! I need the princess lip stuff....I have muck boots that have wonder woman symbols all over them...of course I'll never find these cool things in the states. :( sad. You're a wonder-ful woman indeed, aren't you?! I love MAC make up - I have banned myself from looking when new collections come out! Are you going to get the matching swimsuit, tights and tiara?! Just found your blog from Spain (altho' I am from the UK). Seeing your Enid Blyton book cover made me feel SO nostalgic as I had all the "Naughtiest Girl" books. It must be 30+ years since I last saw the cover. Love your blog; a really great read. i shouldnt look, i shouldnt get tempted, but oh boy those are soooo cuteee and i want them too! love'em!! Quite funny seeing as I'm sat here drinking from my Wonder Woman mug. I can't abide anything on my lips (wish I could) but I like the nail varnish a lot!